There are 3 outdoor living areas, all with ocean views. My favourite is the relaxing private deck with sliding doors from the upper level, overlooking the bush and the ocean. 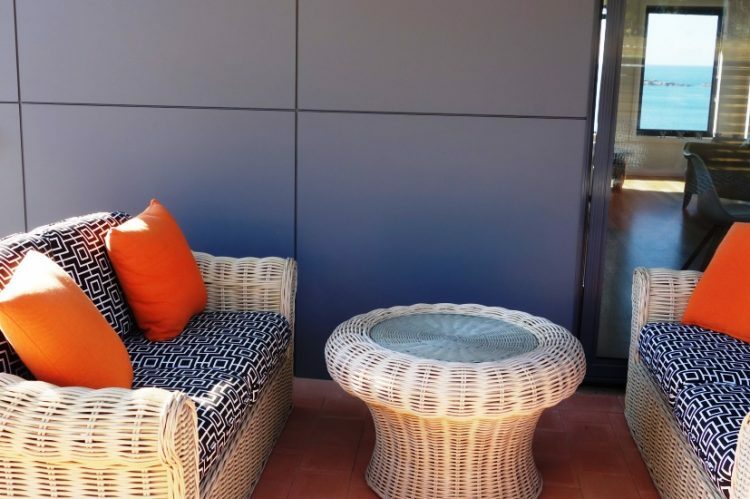 But for total protection from any prevailing winds is the entrance patio, with an extremely comfortable outdoor setting to relax in the afternoon sun.